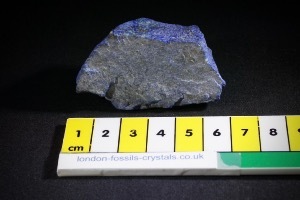 Lapis lazuli (sometimes abbreviated to lapis) is a deep blue semi precious stone that has been prized since antiquity for its intense colour. 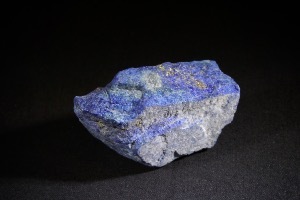 Lapis lazuli was being mined in the Sar-i Sang mines and in other mines in the Badakhshan province in northeast Afghanistan as early as the 7th millennium BC. 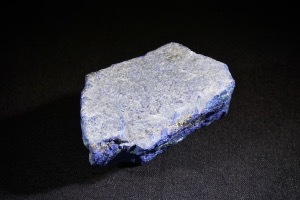 At the end of the Middle Ages, lapis lazuli began to be exported to Europe, where it was ground into powder and made into ultramarine, the finest and most expensive of all blue pigments. It was used by the most important artists of the Renaissance and Barque and was often reserved for the clothing of the central figure of the painting, especially the Virgin Mary. 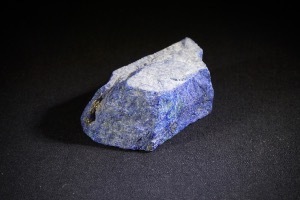 Healing Properties of Lapis Lazuli are said to be it alleviates pain, especially that of a migraine headaches. It may help with overcoming depression, it may benefits the respiratory and nervous system and the throat, larynx and thyroid. Also is said to help with cleanses organs, bone marrow, thymus and immune system. 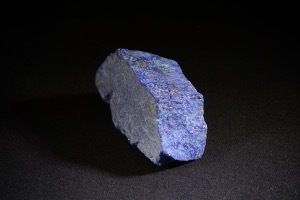 Other healing properties Lapis Lazuli may help with include hearing loss, boots the immune system, alleviate insomnia, vertigo and lower blood pressure.